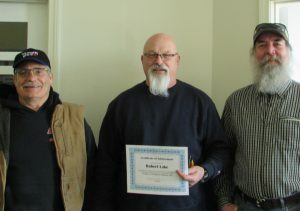 Congratulations to our February Student of the Month in Bangor, Robert Lake! Due to a mill closure, Robert came to us with the idea to learn a new trade and start a new career. Halfway through the program, Robert is excelling with a 95 GPA, and he is eager to learn more–always asking questions to clarify information he doesn’t understand completely. He is known to regularly assist other students in the class as well as in the lab. Keep up the great work, Robert!